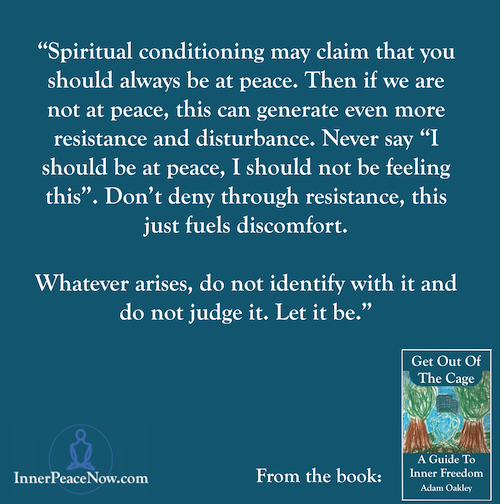 Often we can feel trapped in thoughts, trapped in identity, trapped in conditioning. It can seem as if we are trapped in the cage of our own minds. This book points you out of this, to show you that both the cage and the person who feels trapped in it, are not real. 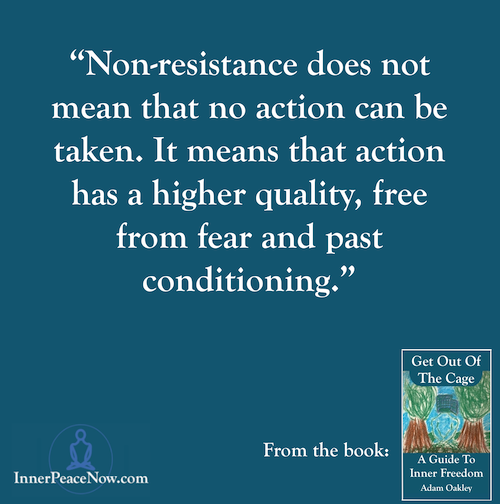 This book also looks at some of the insane ways we have been taught to approach life and to function in the world, and how to be free of these conditioned behaviours. The content within each chapter is split into passages, each passage being a pointer in itself. You may feel inclined to only read a single passage, and pause to allow time for the words to sink in before moving on. This book is very useful for contemplative or meditative reading. 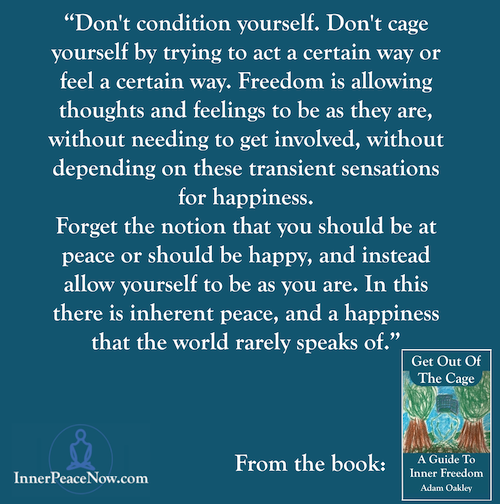 Once you understand what is meant by the cage (simply the conditioned, personal mind that creates suffering) – this book becomes a helpful guide in that as well as being able to read it conventionally from cover to cover – you can pick it up and read any passage at random. Rather than being a book that teaches you anything to remember, it is a tool to point you back towards who you really are before conditioning took over. 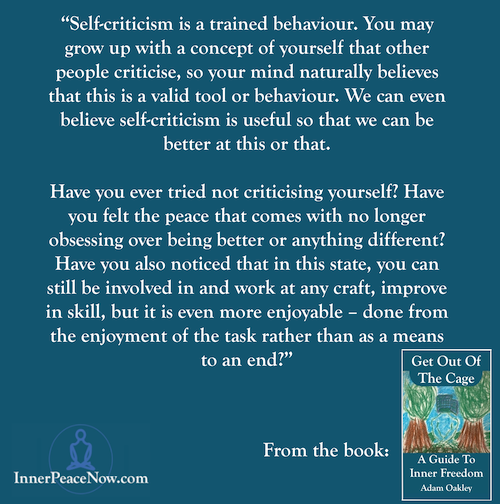 May this book help you realise your inherent freedom, and allow you to function sanely, effectively and happily in the world. The PDF version is good for computers, laptops, tablets and iBooks. You can use PayPal or Stripe. There is an Amazon option for Kindle and Paperback. There is a Barnes and Noble option for Nook and Paperback. There is a Kobo version available. ePub and other formats are available on Smashwords.